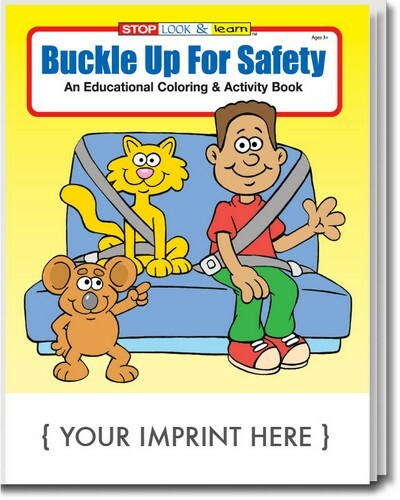 This customizable buckle up educational coloring book features 16 pages of games, puzzles and activities, created to educate children on the importance of vehicular safety. 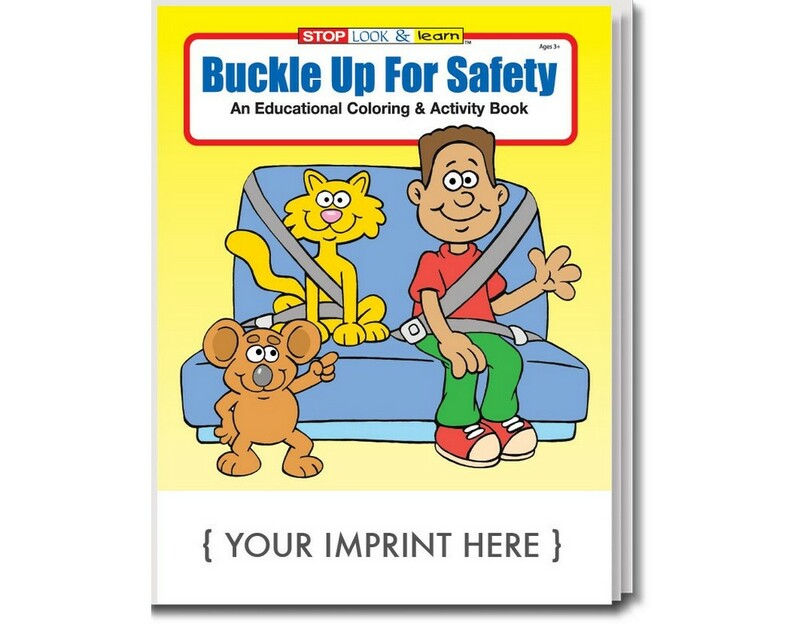 The Buckle Up for Safety Coloring and Activity Book is an entertaining way to educate children about the safety measures that need to be taken while they travel in vehicles. It contains 16 pages of games, puzzles, and coloring activities that help kids learn to buckle up, lock the doors, and keep hands in the vehicle at all times. The book is recommended for children of ages 3 and up. Imprint your business logo on the coloring book and give it away at schools, carnivals, kid’s parties, and any public event of your choice to attract widespread attention for your brand.